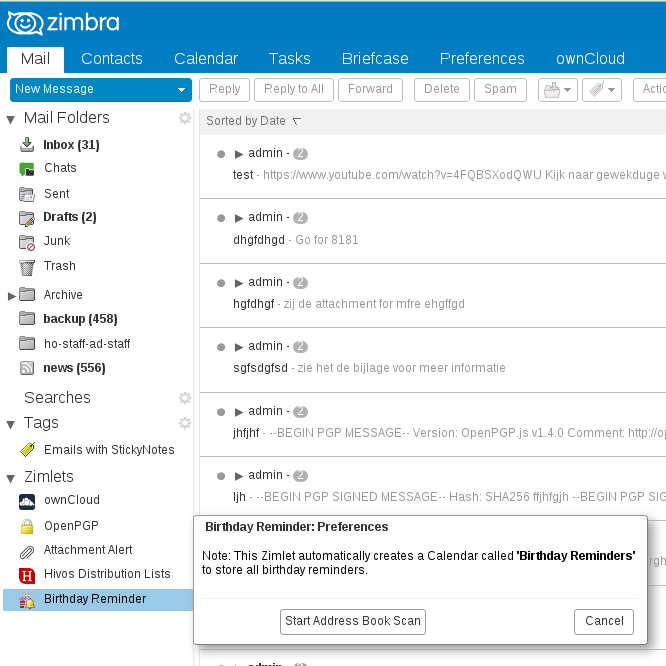 This is a copy of Birthday Reminder Zimlet that is copied from the upstream Zimbra FOSS source. Tthis version was taken from git in May 2015 and was tested to work with Zimbra 8.6 patch 5 FOSS edition. The source was not altered in any way. Scan entire Address Book and add multiple yearly-recurring appointments. 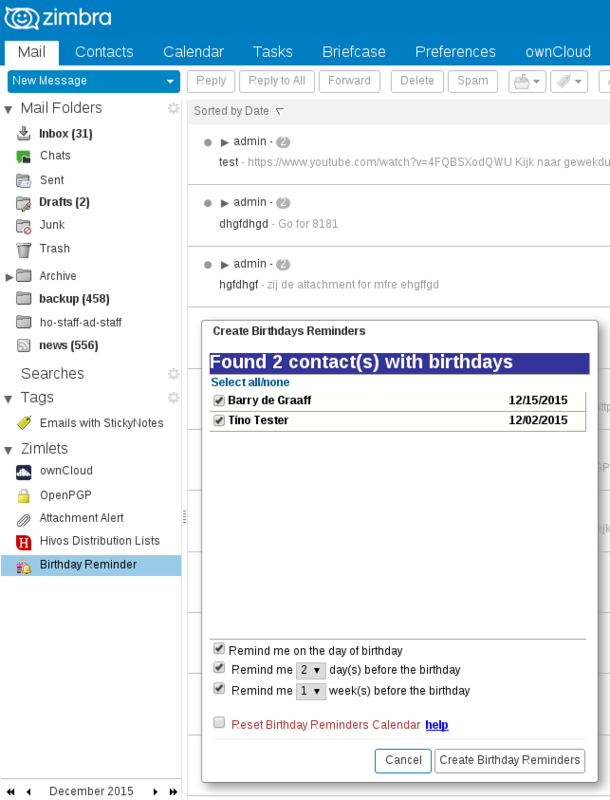 Allow users to automatically create Birthday Reminders when saving individual contacts by adding "Save & Add Birthday" - button, which allows users to easily create Birthday Reminders. Allow scanning of entire Address Book multiple times without duplicating already-created-reminders. 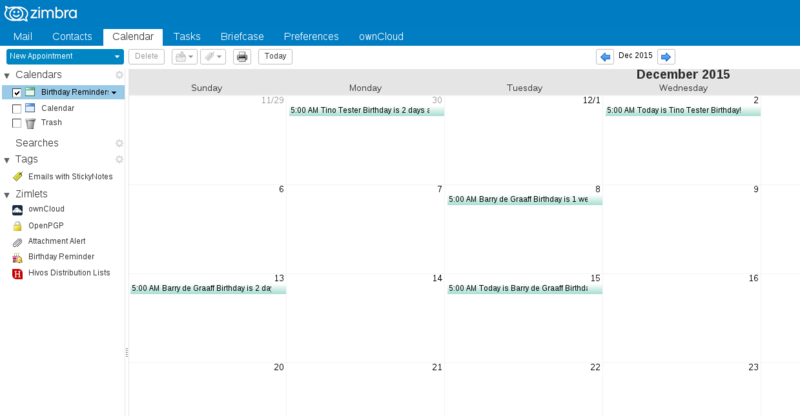 Ability to "Reset Birthday Reminders" Calendar. Added support to quickly select and unselect all Reminders to add. Also, if you just added dates to contacts, the Zimlet does not see them yet, this has something to do with the cache design in Zimbra, you can refresh your browser (CTRL+R) and try again.